Pedigree registered sheep are recorded in the Society flock book. 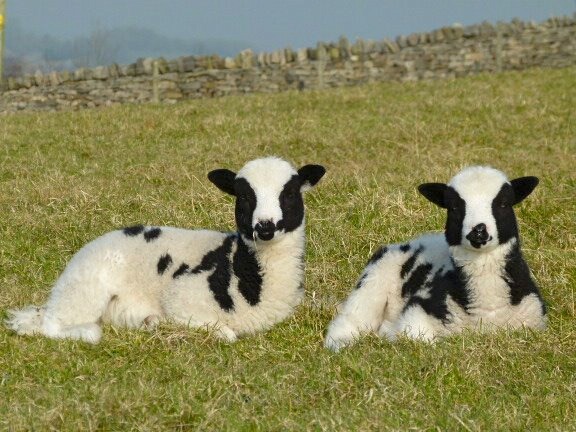 Members of the Society who produce lambs from registered parents can apply to have their lambs included in the breed flock book. Registration will produce a three-generation pedigree certificate and proves the provenance of the animal. Members can also register their flock which will be given a unique number. The name of the flock is chosen by the member. Each sheep that is registered has its own unique number which, with the flock number is put on the animal’s ear tag. Registered sheep are eligible to be entered in the Society’s annual show and sales, and any show that has Jacob classes. Registration increases the potential value of the sheep. When purchasing Jacob sheep always ask the vendor to confirm that the sheep are registered with the Jacob Sheep Society. Only the breeder of an animal can register it. Applications have to be made by 30th November each year to be included in the following year’s flock book. Sheep can either be registered online through the Grassroots system via the image link below or alternatively you may print out the form below and return it to: JSS (Flock Book & Membership Services), Grassroots System Ltd., PO Box 251, Exeter, EX2 8WX. Guidance on using the Grassroots system can be found by following the second link below. Members can view the Society flock book on line through the link below or it is possible to purchase annual paper copies from the Secretary at a cost of £15 per annual edition.